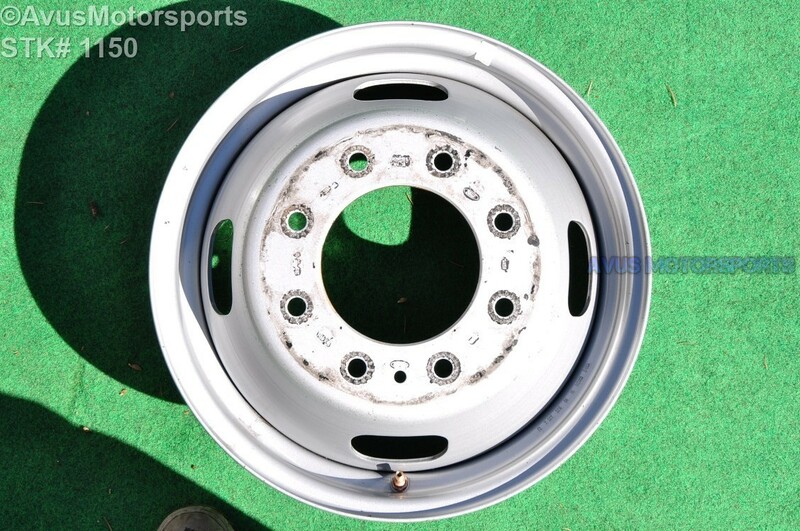 This auction is for ONE (1) 2015 Ford F350 Super Duty Steel 17" factory wheel. This wheel is in good condition. There are some cosmetic flaws such paint chips or pealings and minor scratches. Please review all pics! There are NO bends or cracks and the wheel has NEVER been remanufactured, repaired or refinished!